As intricate as a Dolly Parton hairdo, Stuart Dill’s debut novel takes readers on a rollercoaster ride through the ins and outs of Nashville’s country music scene, all the way to New York, Los Angeles, and London in search of a would-be killer. Country singer Ripley Graham, the new king of Nashville, has used e-commerce to hitch a swift ride into the music stratosphere. He’s a blueprint for how the music industry could save itself. Second only to Lady Gaga in the Twittersphere and with over 28 million Facebook friends, he’s a web-savvy Internet icon breaking box office records and raking in millions in advance sales. But his record company’s execs aren’t playing ball. Taking the astronomical profits he generates and giving very little back, they’re intractable—and Ripley’s mad as hell. So mad, he’s determined to make them pay. But for each of them, of course, the truth is different. 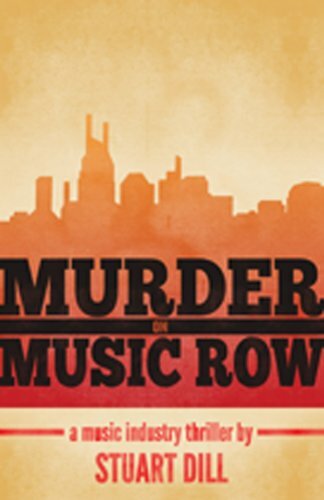 When shots ring out on the Grand Ole Opry set of Ripley’s new video, two members of his management team are hit—and one of them, his manager Simon, is left fighting for his life. But were the shots meant for Ripley? In this absorbing tale of excess and entertainment, the truth of both the music business and the artists themselves screams out from every page—testament not only to Mr. Dill’s quarter of a century as an industry insider but also to his acute observation skills. Stevie Godson, a columnist and copy editor for South African newspaper the Daily Dispatch, is a former music industry executive. She was head of strategic marketing for BMG Music South Africa, signing some of the country’s biggest music stars, and was also the manager of several artists, including internationally famed South African singer, the late Miriam Makeba.